One of the qualities that seem to surprise educationalists most when visiting Danish schools is the ease with which pupils and teachers get on with one another. There is an open and direct communication, no ‘Miss’ or ‘Sir’. Usually first names are used in both directions. Each side is taken seriously by the other. This does not mean that there is no respect for the teacher, but s/he must show that respect is reciprocal. This aspect often seems to cause problems for immigrants. How can you respect a teacher when using a first name??? They may also find the gender of the teacher difficult to respect. For the Council of Europe (CoE), democratic citizenship is not confined to the legal status of “citizen” or the rights derived from it, e.g. right to vote on national or European Union level, and freedom of movement. Instead, it embraces every aspect of life in a democratic society, emphasizing the importance of active participation for the proper functioning of societies founded on respect for human rights and the rule of law. Citizenship must be learnt – in freedom and with responsibility, with respect and honesty. It relies on, as well as builds on, trust and confidence between the powers that be and the individuals who live in the community or society. 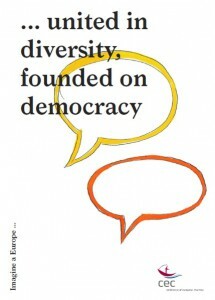 The Conference on Education for Democratic Citizenship – a role for the churches? took place from October 5-7 in Strasbourg. Organised by the Church and Society Commission (CSC) of the Conference of European Churches (CEC), the conference brought together members of churches and church organisations, clergy, lay, NGOs and academics, to discuss and debate how the church can act as a responsible part of civil society. CSC Report on the Future of European Higher Education describes what the European co-operation in higher education has achieved and not achieved thus far, where it is heading, how it is organised and how churches can join in. The paper also explains the main points of criticism and allows the officials a possibility to respond. The document looks at both the EU and the Bologna Process, now called the European Higher Education Area, which are two separate but intertwined processes. The report was commissioned by the Church of Sweden. (CSC merged with CEC in December 2014). At its plenary in Haguenau/Strasbourg from 28 May to 1 June 2010, CSC (now merged with CEC) adopted an education strategy. Education was also accepted as one of the CSC priorities for the year 2011. The two main areas of work in the Strategy are monitoring of the implementation of the EU education strategy (“ET 2020”) on European and national level, and clarifying the contribution of CEC member churches in education for democratic citizenship. Please click here for the Green Paper by the Commission of the European Communities on promoting the learning mobility of young people (8 July 2009). Please click here for the joint answer by CSC, EYCE, WSCF-E, and AGDF on the Green Paper consultation. 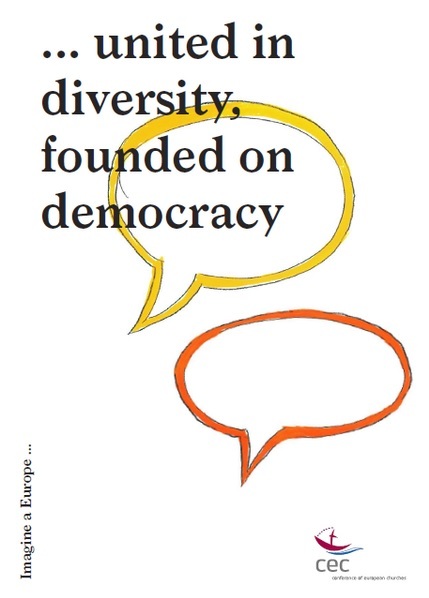 On 15 December 2008, CSC - together with the Commission of the Bishops’ Conferences of the European Community (COMECE) and the European Commission - organised a Dialogue Seminar in Brussels on “Quality Education in an Intercultural Environment”. The Intereuropean Commission on Church and School (ICCS), an associated organisation of CEC, and the Churches’ Commission for Migrants in Europe (CCME) made a pivotal contribution to the contents of the seminar.